Northampton is an ancient Borough sited at a strategic geographical position in the Midlands. Parliament was frequently held in the Castle (no longer in existence) and the Borough was granted its Charter by King Richard I in 1189. Many of the fine Victorian buildings around the town, including The Guildhall, are derived from the wealth of the shoe industry at the turn of the 19th Century. 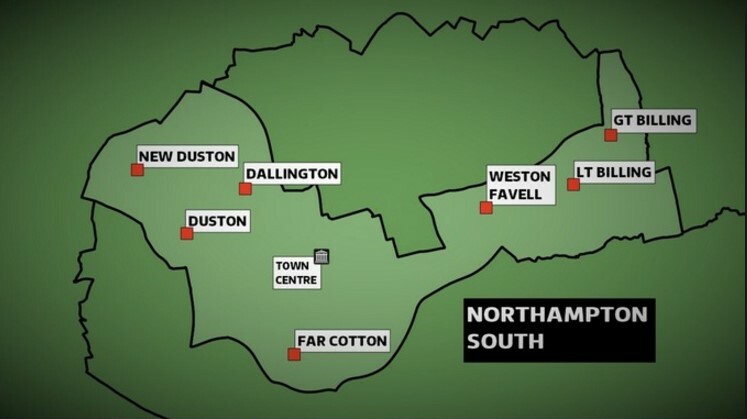 Northampton was designated a new town in 1968 and rapid expansion took place particularly on the eastern side of the town. Industry has now diversified from the traditional boot and shoe producers. In 1989, Northampton celebrated the 800th Anniversary of the town being granted its Borough Charter. In 1997, the eyes of the world turned to Northampton as Diana, Princess of Wales was brought to her ancestral home as she was laid to rest on the Spencer Estate at Althorp just outside Northampton. The Princess of Wales had been granted the Freedom of the Borough of Northampton on 8th June 1989.